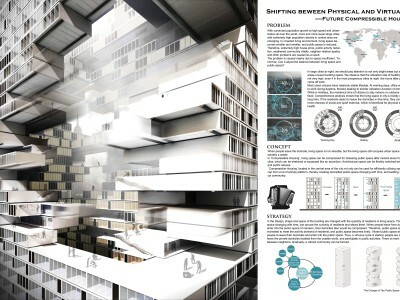 Shifting between Physical and Virtual – Future Compressible Housing | gURROO - A new generation of innovative minds. Here is an arresting phenomenon about the dimensional evolution linking to the problem of super-large cities. More and more super-large cities with extremely high population density in central area are emerging with continued population growth at high speed and urbanization all over the world. Living room area is smaller and smaller, and public space is reduced in crowded living environment. Therefore, extremely high house price, public activity reduction, weakened community vitality, neighbor relation apathy and other problems are caused as a result. The problem is caused mainly due to insufficient space. Indeed, living spaces and public spaces are both indispensable. But it doesn’t mean that the two types of spaces should occupy the physical space at the same time even when we are just using one of them. So we discuss the possibility that let the space shift between living spaces and public spaces. 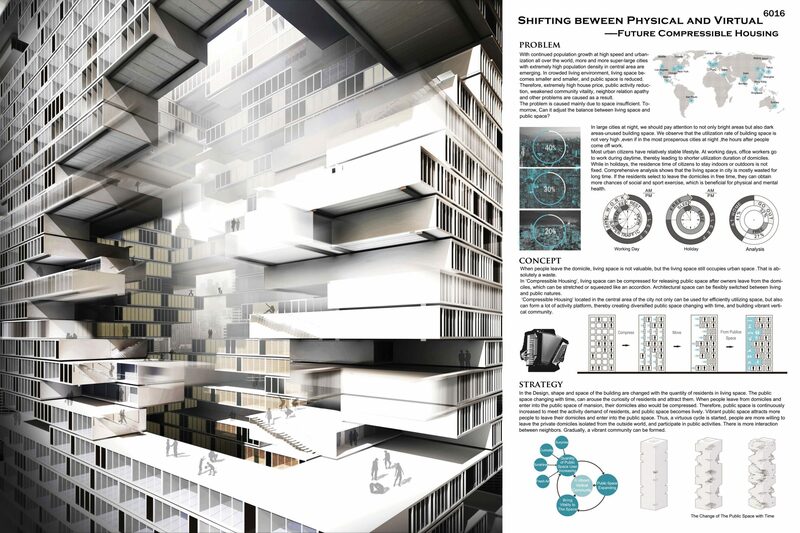 According to the functional requirement, both of the two types of spaces can shift between the physical Architecture and the Virtual one. It will bring a dimensional evolution that solve the problem above. When people leave the domicile, living space is not valuable, but the living space still occupies urban space and belongs to waste. 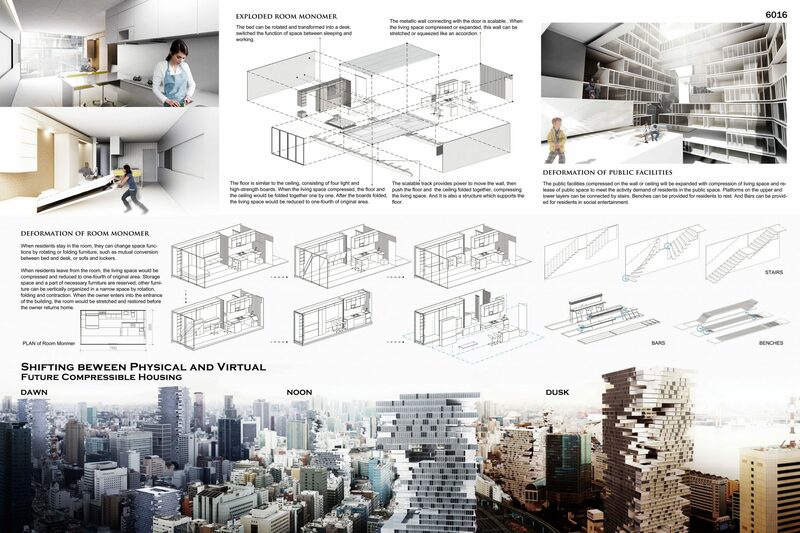 ‘Compressible House’ refers that living space can be compressed for releasing public space after citizens leave from the domiciles, which can be stretched or squeezed like an accordion. 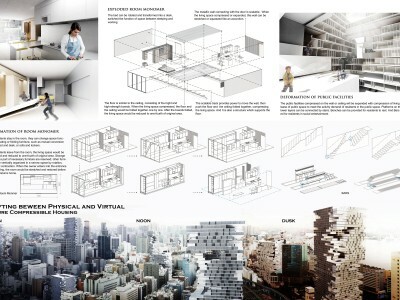 Architectural space can be flexibly switched between living and public natures. ‘Compressible House’ located in the central area of the city not only can be used for efficiently utilizing space, but also can produce a lot of activity platform, thereby creating diversified public space changing at any time, and building vibrant vertical community.